We encourage you to join as members of the Florida Foundation for Architecture. ­Please review the below levels and benefits. 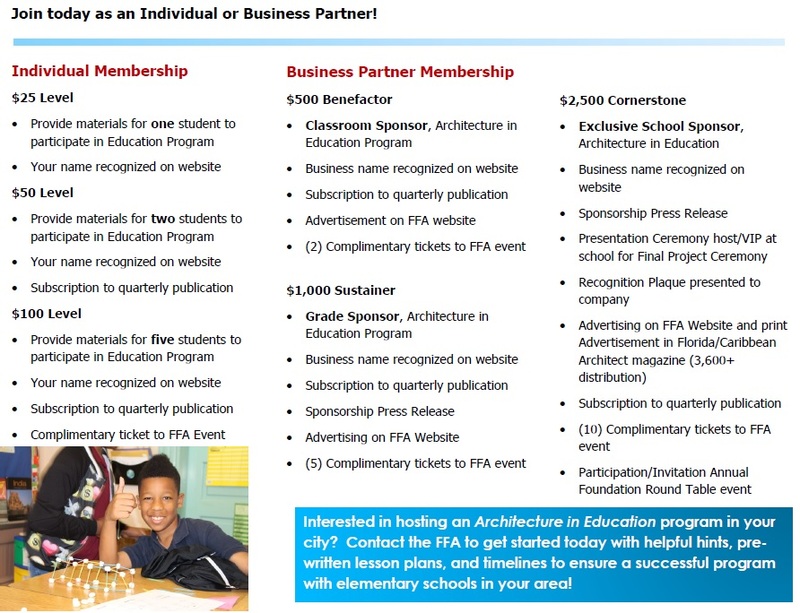 ­Then, simply click ­HERE­ today and help us bring architecture to school children in Florida. Donations are tax deductible to the extent allowable by Federal Law.